Jumpstart your career as a massage therapist with the quality instruction offered by Nashville School of Massage Therapy, Nashville’s state of the art massage therapy program. We offer a hands-on, professional approach to education to provide our students with the knowledge necessary to excel in the field of massage therapy. Thanks to affordable tuition, a convenient location and quality instruction, Nashville School of Massage therapy is the obvious choice for high quality massage therapy classes. We now offer a part-time program with classes beginning July 29, 2019! Our part-time massage therapy program runs for 40 weeks, and classes are held Monday through Thursday from 6:30 — 9:45 p.m., with clinic demonstrations available Monday-Saturday. For students wishing to pursue a career in massage therapy but struggling to juggle multiple commitments throughout the year, our part-time program is a unique option that incorporates exceptional training and an alternative schedule. With this added convenience, it’s never been easier to begin training for your future career as a massage therapist at Nashville’s premier massage therapy school! Nashville School of Massage Therapy offers after-hours massage classes to get you certified at a convenient time. 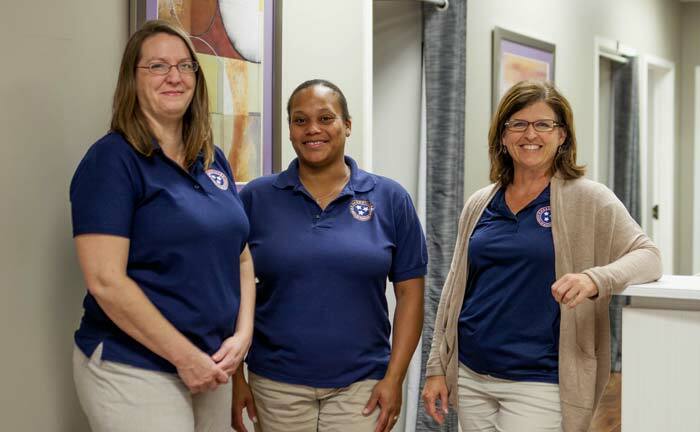 Our mission at Nashville School of Massage Therapy is to offer a quality, hands-on education to establish growth both personally and professionally, enabling you to enrich the lives of others. Our staff is dedicated to fulfilling our mission by creating a learning environment to support our students from start to finish!